Known as the ‘missile woman’ of India, Tessy Thomas is a scientist at the Defence Research and Development Organisation (DRDO). She served as the Project Director for the Agni IV and V missiles, making her the first woman to lead missile teams in India. These are intercontinental ballistic missiles that have very high ranges and are capable of carrying nuclear warheads. Dr. Thomas’ expertise on the solid propellent systems were critical in the development of the re-entry system of the missile, which helped it withstand great velocities and temperatures of 3,000° Celsius on re-entering the atmosphere. 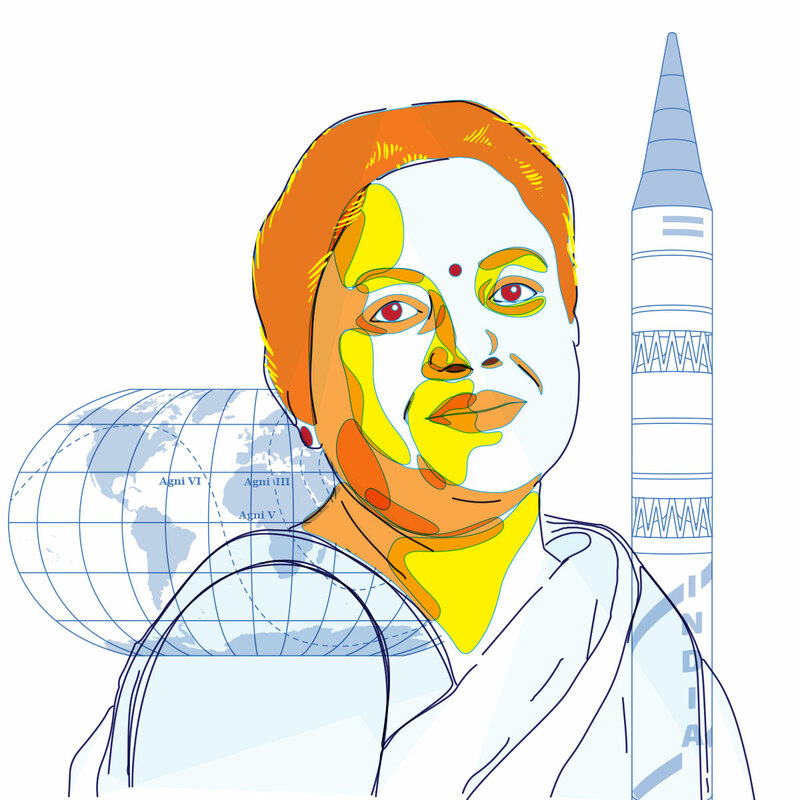 Dr. Thomas has received several prestigious awards for her work, including the ‘DRDO Scientist of the Year’, in 2008, DRDO Performance Excellence Award for 2011 and 2012, India Today Women of the Year award in 2009, Lal Bahadur Shastri National Award for Excellence in Public Administration in 2012, CNN-IBN Indian of the Year in 2012, Sir Mokshagundam Visvesvaraya Award in 2016, and Outstanding Woman Achiever Award by Women in Science and Engineering (WISE). Gender does not matter. You work as a scientist, not as a woman.